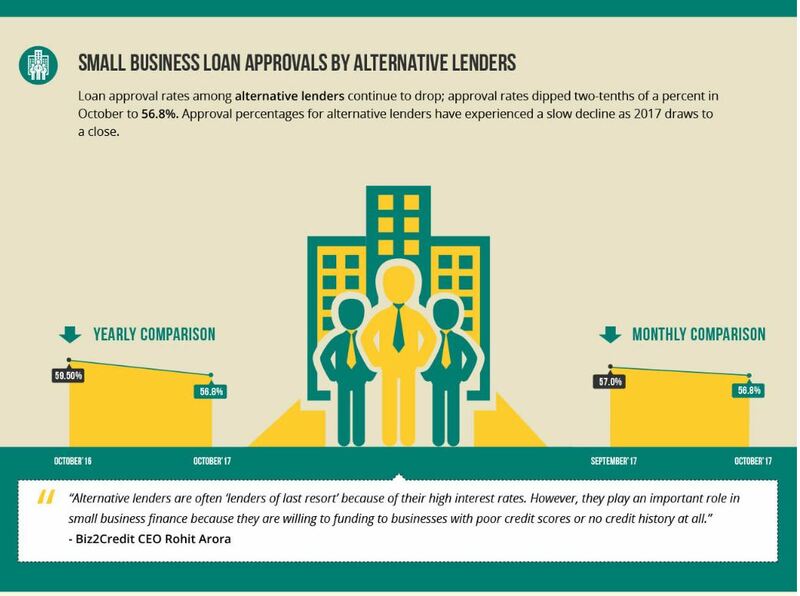 by Vicki Schmelzer – Biz2Credit’s Small Business Lending Index survey, released Tuesday, showed that bank and Institutional lender loan approval rates edged higher in October. 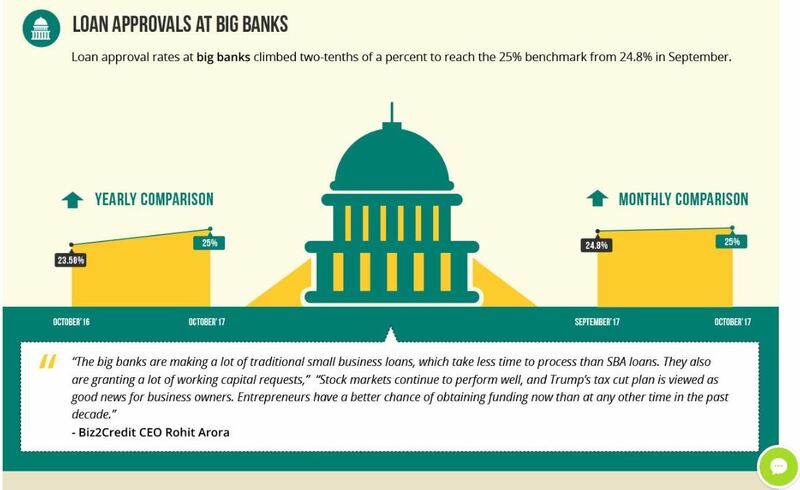 The survey, which analyzes more than 1,000 small business loan applications on Biz2Credit.com’s lending platform, showed that small business approval rates at big banks, i.e. those with $10 billion-plus in assets, rose to 25.0% in October, which was a post-recession high. This compared to 24.8% in September and to 23.5% in October 2016. The credit easing story continues to underscore both supply and demand for borrowing expanding. “The big banks are making a lot of traditional small business loans, which take less time to process than SBA loans,” he added. Loan approval rates at small banks slipped to 48.9 in October from 49.1 in September and compared to 48.7% in October 2016. Loan approval rates at institutional lenders stood at 64.0% in October, which was a new high for the category in the Biz2Credit Small Business Lending Index. This is up from 63.9% in September and August. In October 2016, institutional lenders’ loan approval rates were 63.1%. In contrast, loan approval rates for alternative lenders continued to move lower, with approval rates at 56.8% in October versus 57.0% in September and compared to 59.5% in October 2016. Approval percentages have been on the decline for over a year. Credit Union loan approval rates dipped also, to 40.2% in October from 40.3% in September and August, and compared to 41.2% in October 2016. October represented a new low for this category of funders on Biz2Credit’s index. During the October survey period, Biz2Credit analyzed loan requests, ranging from $25,000 to $3 million, from companies in business for longer than two years that had an average credit score above 680. 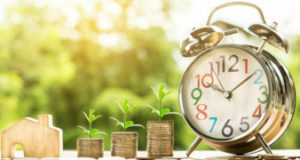 Earlier Tuesday also, the National Federation of Independent Businesses (NFIB) released its Small Business Economic Trends Survey. The headline Small Business Optimism Index rose to 103.8 in October, up from 103.0 in September, but down from 105.3 in August, which was the highest since January (105.9). On borrowing needs, “Four percent of owners reported that all their borrowing needs were not satisfied, up 2 points and historically low,” the NFIB said. “Twenty-nine percent reported all credit needs met (down 4 points) and 53% said they were not interested in a loan, up 2 points,” the survey said. 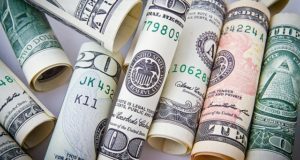 In terms of overall problems for small businesses, “Only 2% reported that financing was their top business problem, compared to 21% citing taxes, 14% citing regulations and red tape, and 20% the availability of qualified labor,” the NFIB said.